E RICKSHAW Converter is designed to fulfill DC power requirements of E-Rickshaw vehicle. Its design is very simple and can be operated easily. It is compact in size and water proof. 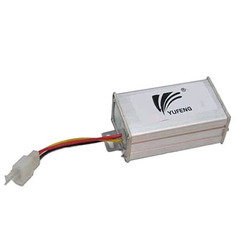 It can be operated from 40V DC to 60V DC. Nanya group is the best manufacturer and suppliers of these E RICKSHAW Converter.